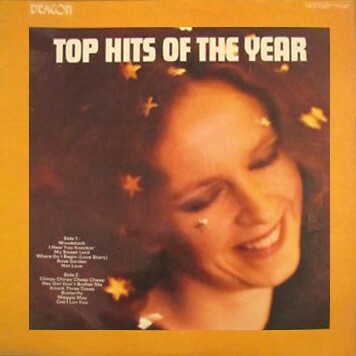 The “Pick of the Pops” albums were issued by Deacon, a London-based budget label active from 1970 until the end of 1971. For reasons unclear, some (possibly all) appeared in identical sleeves, but on the Gallery label. A couple also emerged in a third incarnation, via the Heron label – apparently created for a petrol forecourt retailer of that name! 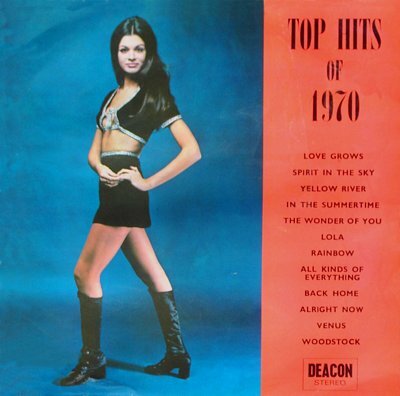 “Pick of the Pops” was preceded by one early album on Deacon, taking the form of an annual round-up for 1969, before the series proper was launched. 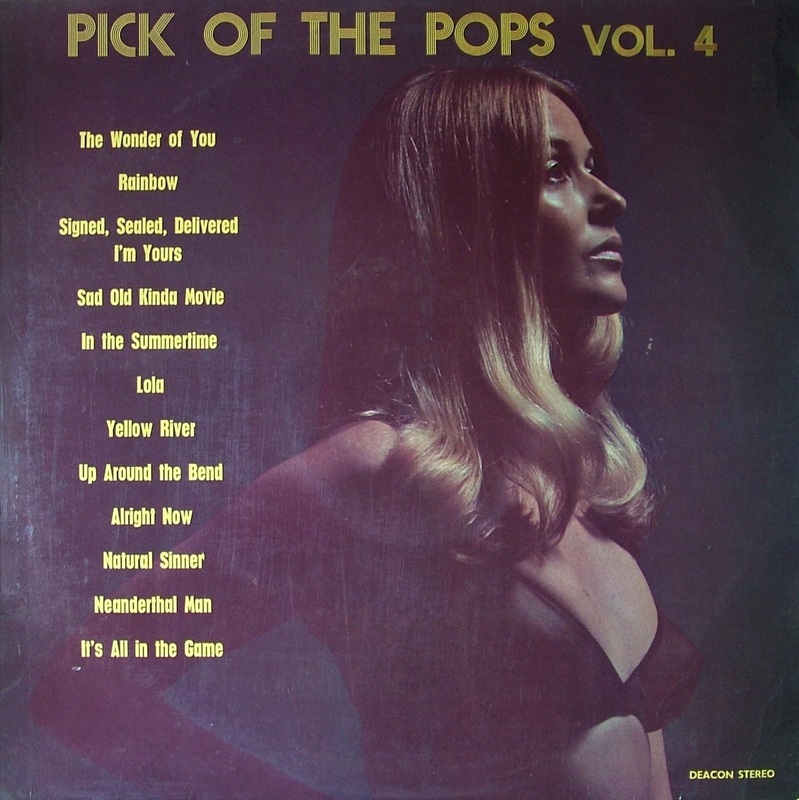 “Pick of the Pops” only ran to six editions, but the numbering got confused anyway, there being no volumes 2 or 3 in the sequence. The album contents were supplied by Hensley Music, and often turn up on other budget LPs, for example volume 7 matching Marble Arch’s “Chartbusters New Series Volume 4”. 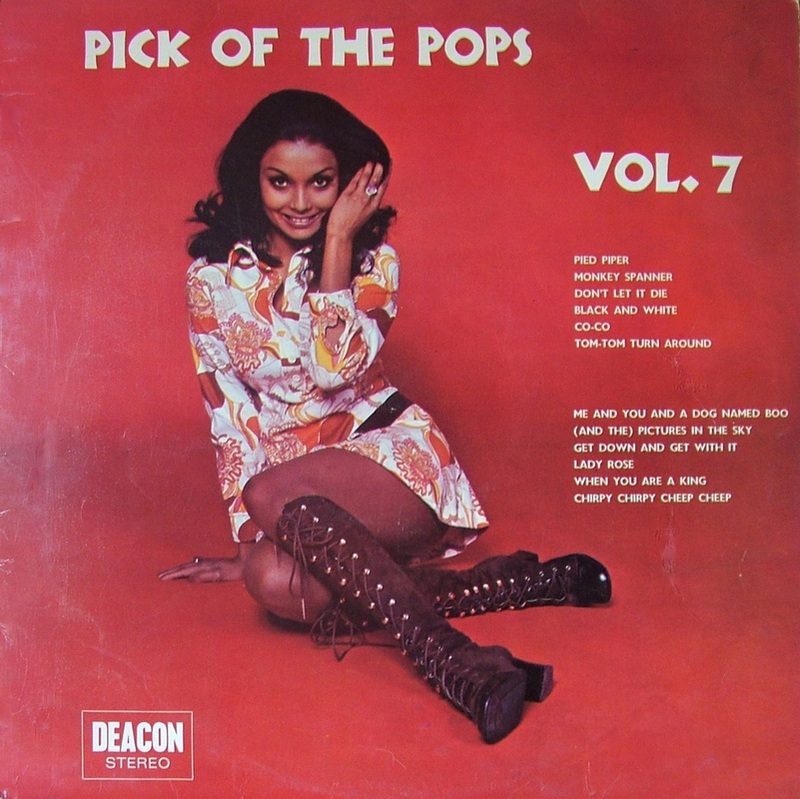 Towards the end, Deacon were sued by Pickwick International over the similarity of “Pick of the Pops” to “Top of the Pops”, and so the series title had to change. 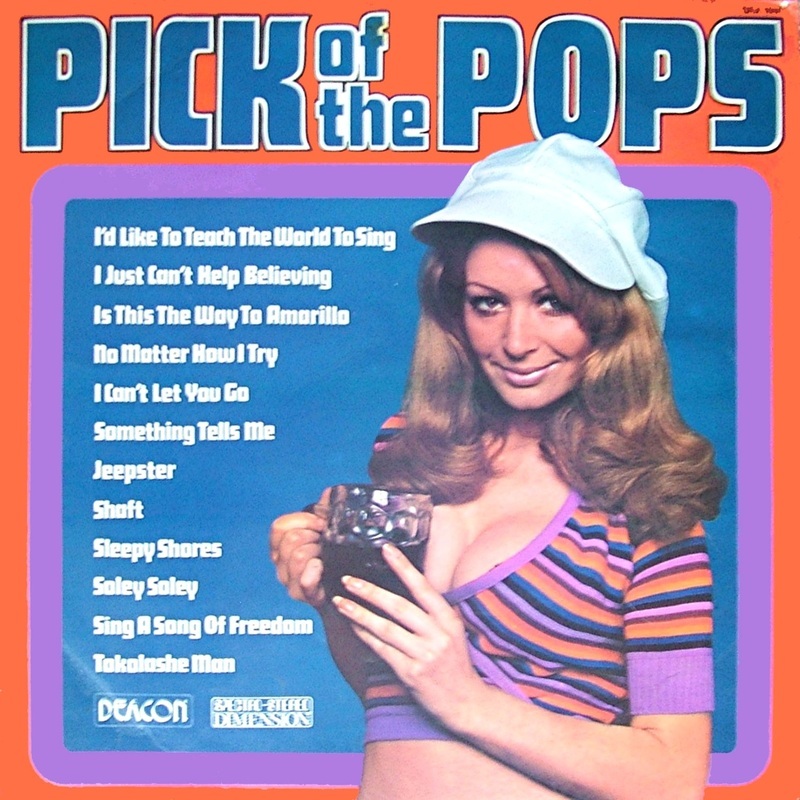 Just before it did, the operation was moved to the Windmill label, who continued it as “Parade of Pops” (see separate page) which endured in various incarnations until the mid-1980s. Thus, this modest title in fact forms part of one of the largest series ever to appear. Comments: Features Elton John. Gallery label pressing cat number: GDEA 1010. Heron label pressing has Deacon catalogue number and has additional text on the back cover, pertaining to the company’s retail outlets. Comments: Features Elton John. Despite being titled "Vol 4", this is in fact only the second album in the series. This numbering anomaly would never be corrected. Gallery label pressing cat number: GDEA 1015. Comments: This album corresponds with “World Top 12” volume 2. Gallery label pressing cat number: GDEA 1039. Comments: Cover gives title as “12 Smash Hits”. 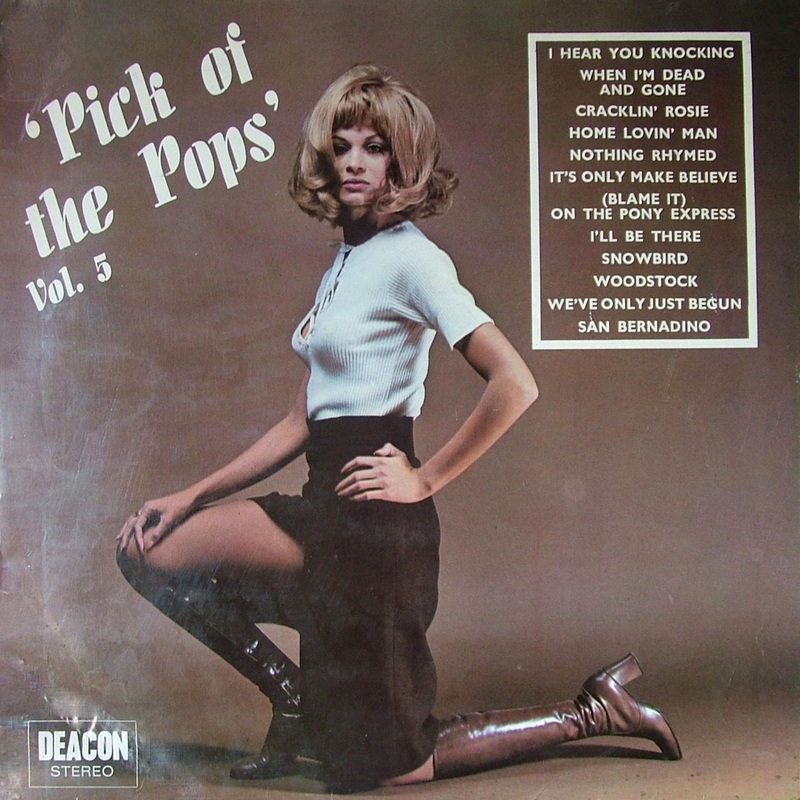 Some copies have labels with the same title, some with “Pick of The Pops Vol VI”. This album corresponds with “World Top 12” volume 3. Gallery label pressing cat number: GDEA 1051. Comments: This album corresponds with “Chartbusters New Series Volume 4”. Gallery label pressing cat number: GDEA 1065. Comments: Cover model: Nicola Austin (drinking a pint of bitter!). Gallery label pressing cat number: GDEA 1086. 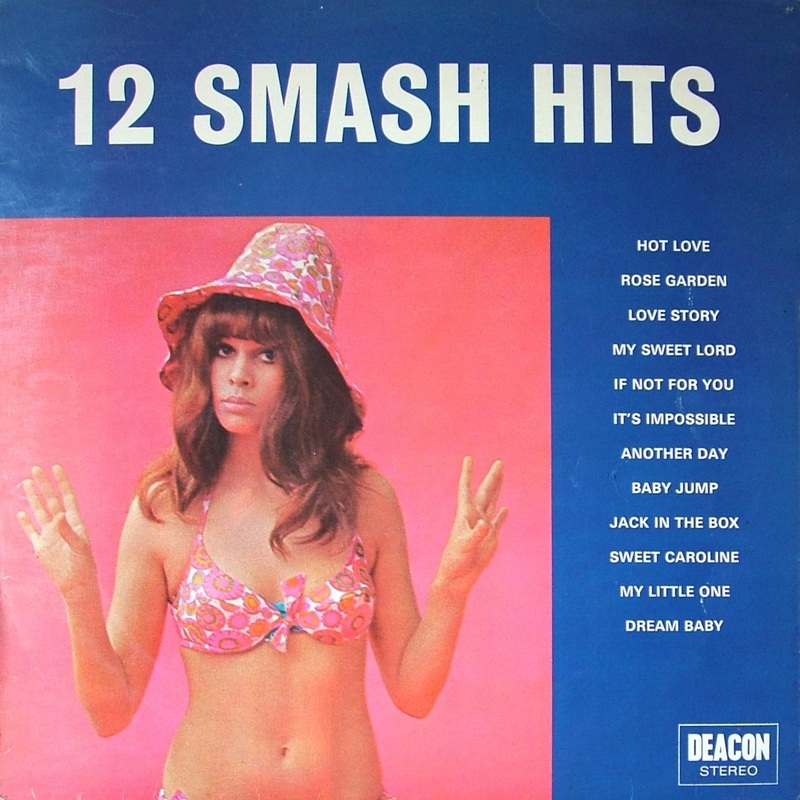 Cover art design was to be continued as standard when series moved to the Windmill label. Comments: Possibly Deacon’s first release. Gallery label pressing cat number: GDEA 1001 (which has sticker reading “Gallery Stereo” placed over the Deacon logo on the back of the sleeve). Heron label pressing has Deacon catalogue number and has additional text on the back cover, pertaining to the company’s retail outlets. Comments: Features Elton John. Gallery label pressing cat number: GDEA 1040. 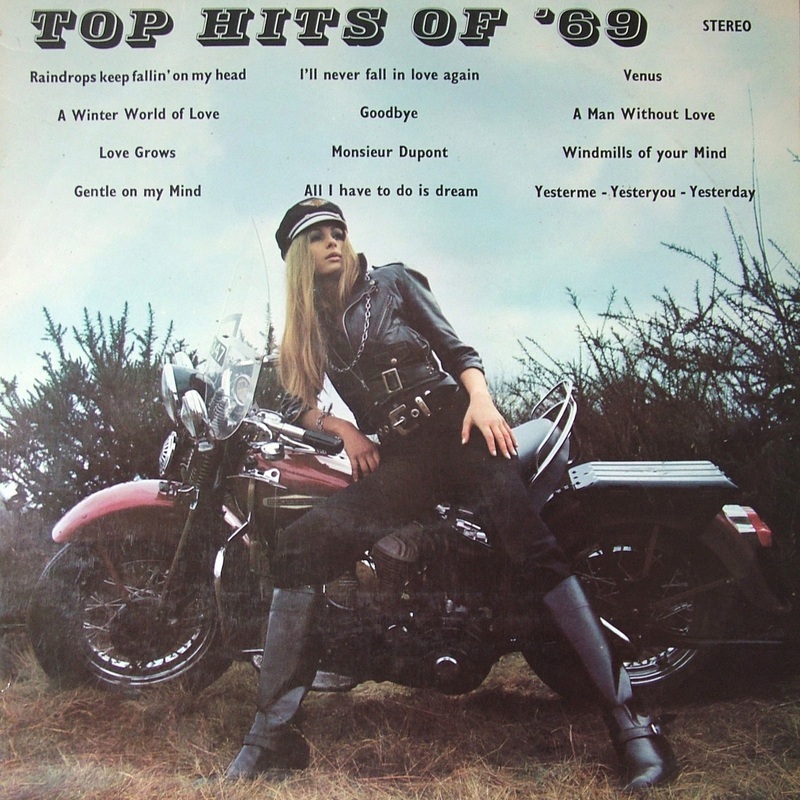 All tracks from main series, except “Love Grows (Where My Rosemary Goes)” and “Venus”, both sourced from the earlier “Top Hits of ’69” (above). Comments: LP issued in two different covers (see images). Includes five tracks not featured in the main series (the last five titles in the track listing). The contents of this LP can also be heard on albums on the Windmill and Flag labels respectively. Gallery label pressing cat number: GDEA 1080. There is an 8-track cartridge edition in existence, which may be a US issue; the LP with corresponding artwork (above left) is definitely a UK issue however. The LP sleeve on the left is known in two variants, one of which has an "AZ" logo printed on the back. It is not clear what this signifies, but not all copies have it. And copies with the AZ logo give Deacon's company address as 120 King Street whereas copies without it give the address as Winchelsea Road NW10. Thanks to collector Simon Mclean for alerting us to this.